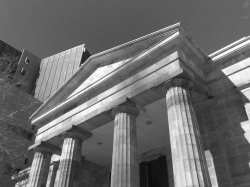 Mr. Nichols has extensive litigation experience, having represented clients in matters of all sizes, from multi-district Federal class action cases to small business owner trademark disputes. He works with clients to clearly articulate goals and expectations early and to develop a business strategy emphasizing maximizing settlement opportunities as appropriate and taking matters through trial as required. Representative matters include disputes concerning: intellectual property, contracts / transactions, business practices, fiduciary duties, corporate governance / management, labor / employment, and securities. Receive "bet the company" attention on every litigation matter.